Flydubai Flight 981 was a scheduled international passenger flight from Dubai, the United Arab Emirates, to Rostov-on-Don, Russia. On 19 March 2016, the Boeing 737-800 flying this route made two unsuccessful landing attempts at Rostov-on-Don Airport in inclement weather. After aborting its second approach, the aircraft climbed to 4,000 feet (1,200 m), then descended rapidly and crashed near the threshold of runway 22. All 62 people on board the aircraft were killed in the high-speed impact. 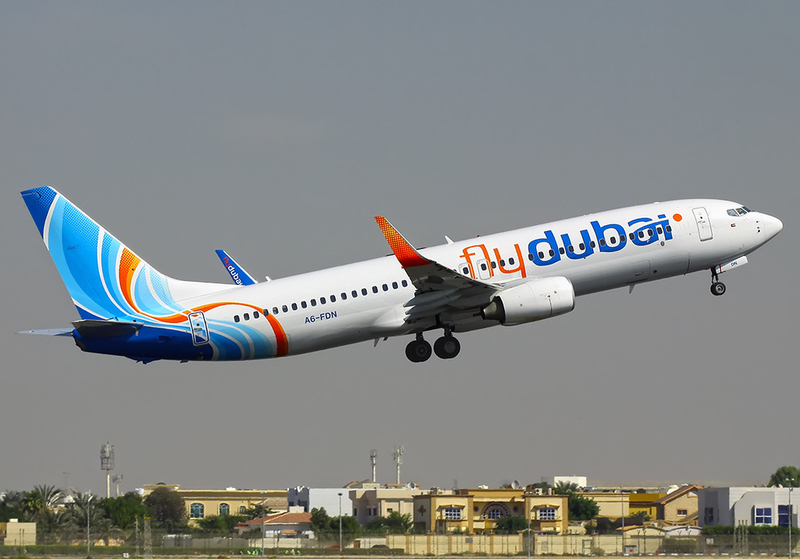 The crash was Flydubai's first fatal incident in its eight-year history. After a four-hour flight, at 01:39 local time, the aircraft made its first landing attempt, but had to abort it at 01:42 at 1,725 feet (526 m), 6.7 kilometres (4.2 mi) short of the runway, due to poor weather conditions. Ten minutes before this attempt, two other flights landed successfully at Rostov-on-Don from the first attempt: S7 Airlines Flight 1159 (at 01:23), and Ural Airlines Flight 2758 (at 01:28). Flight 981 went into a holding pattern near the airport, awaiting better weather conditions, for the next two hours. It maintained 8,000 feet (2,400 m) for the first 30 minutes of the hold and then climbed to 15,000 feet (4,600 m) feet. Soon after Flight 981's first aborted landing, Aeroflot Flight 1166 made three unsuccessful attempts to land at Rostov-on-Don (at 01:54, 02:07 and 02:17) and at 02:20 diverted to nearby Krasnodar International where it landed successfully at 02:59. 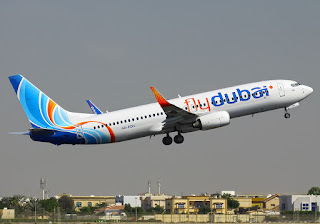 At 03:28, the crew of Flydubai Flight 981 started the second attempt to land on runway 22. According to ATC communications published online, pilots reported to ATC that in case they would need to make another go-around, they would climb to flight level 80—approximately 8,000 feet (2,400 m). At 03:36 the aircraft intercepted the runway 22 localizer at 10 nautical miles (19 km) from the runway. The crew confirmed it to ATC and continued the descent. At 03:40:54, when the aircraft descended to 480 meters (1,570 ft) with a speed of 243 km/h and was about 5.5 kilometres (3.4 mi) from the runway threshold, the crew decided to abort the landing. They reported their intention to ATC with "Going around, Sky Dubai 981". ATC advised Flight 981 to switch to another air traffic controller ("Sky Dubai 981, contact Rostov Radar on 121.2"). Flight 981 acknowledged this with "121.2, bye-bye", which was their final transmission. The aircraft increased its speed and within 43 seconds climbed to 1,200 meters (3,900 ft) with a speed of about 343 km/h. Starting at 03:41:37 the aircraft's altitude rapidly decreased and it hit the ground. At 03:42, the air traffic controller (ATC) of the airport alerted the local emergency services about the crash. The aircraft impacted the ground immediately east of the approach end of Runway 22. A CCTV video, uploaded online after the crash, shows an aircraft making a steep descent into the ground, followed by an explosion. According to a source from the rescue team, the small radius of the expansion of debris and the small size of the debris parts, points out that the speed of the fall was more than 400 km/h; as even the aircraft's magnesium alloy wheel rims, its most solid part, were shattered. This speed assessment matches the Flightradar24 data. According to the same source, the plane struck the ground approximately at a 60–degree angle. [ According Rostov-on-Don branch of the Ministry of Emergency Situations, the wing of the aircraft first touched the ground in the crash. Flight 981 carried fuel for 8.5 hours of flight. It had been airborne for 6 hours until the crash. At 22:42, while conducting the first approach, the crew elected to abort and initiate a go-around procedure, in response to an alert from the on-board windshear warning system. They climbed to FL 50 (1500m) and then to FL 80 (2450m) to hold. While in that holding pattern, the crew reported moderate icing and requested further climb to FL 150 (4550m), where they held until descending again for a second approach attempt. At a height of 900m, there was a simultaneous control column nose down input and a trimming of the horizonal stabilizer to a nose down position, from -2,5 deg (6,5 units) to +2,5 deg (1,5 units). The FDR recorded that nose down stabilizer trimming, from the stabilizer trim switchs on the control wheel, lasting 12 seconds. The CVR also recorded the specific noise of rotation of the trim wheels, located on both sides of the central pedestal. A 00:41:49, the aircraft hit the runway approximately 120m from the threshold with a speed of over 600 kmph and a nose down pitch exceeding 50 degrees. The impact totally destroyed the aircraft, instantly killing all on board.